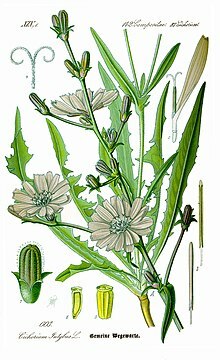 Cichorium pumilum is a Mediterranean species of plant in the dandelion tribe within the sunflower family . 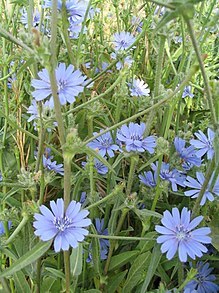 Like the two other species of Cichorium, its leaves are edible by humans. The plant produces bluish-violet flower heads and fleshy taproots. ^ The Plant List, Cichorium pumilum Jacq. ^ Altervista Flora Italiana, Endivia selvatica, Cichorium pumilum Jacq. This Cichorioideae article is a stub. You can help Wikipedia by expanding it.